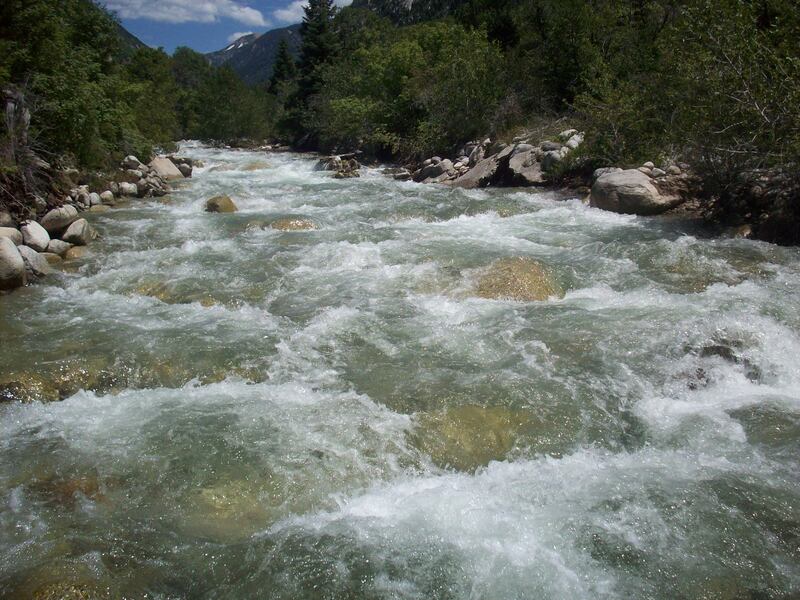 I’ve mentioned before that the Little Cottonwood Canyon stream is empty for part of the year, as the water is diverted into collection points, sent to treatment facilities, and then included in the municipal water supplies for the greater Salt Lake City metropolitan area. 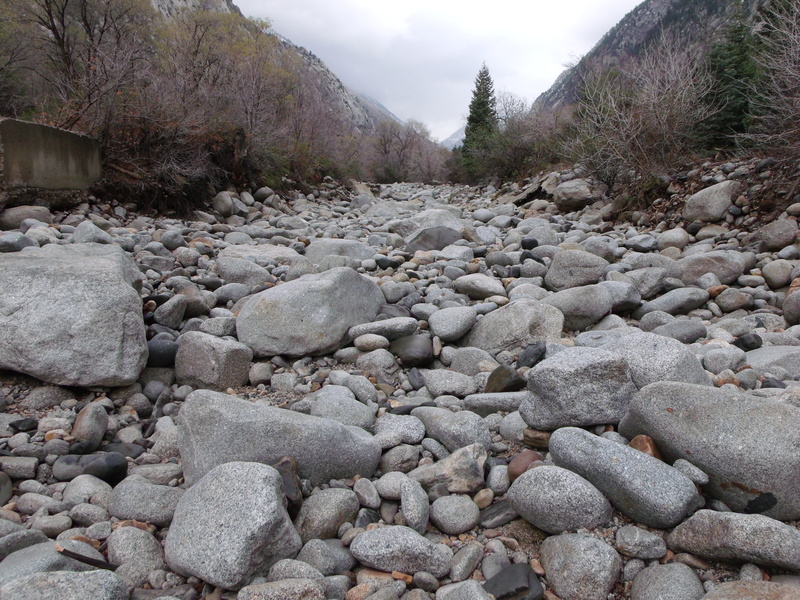 There is a time of the year, however, when the stream is allowed to run, as it contains too much water from the snow-melt to be collected in its entirety. I rather enjoy the stark contrast in the images of the empty stream-bed and the full and rushing stream.